Join #QuizNiSirVince by answering questions posted by Sir Vince on his Facebook page. 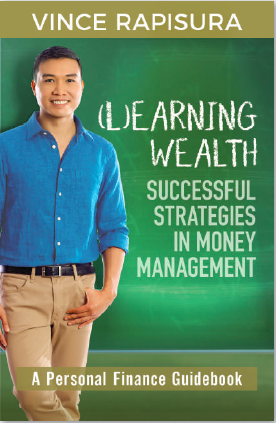 If you answer his question correctly, you get a chance to win a copy of (L)Earning Wealth book. You must comment the right answer for you to be able to win a free copy. Winners will be announced on Vince Rapisura Facebook page and will also receive a private message from Vince Rapisura. Winners may claim their free copy in the SEDPI ofﬁce at 303 Loyola Heights Condominium, 23 Fabian Dela Rosa St., Loyola Heights, Quezon City. You have six (6) months to do so from the date of announcement. Bring a valid ID. For proxy, bring an authorization letter, photocopy of winner’s ID, and a valid ID. For inquiries, you may contact (+63) 918-936-7003 on WhatsApp or Viber.